I’m sure that by now stress is unfortunately a word we’re all way too familiar with. 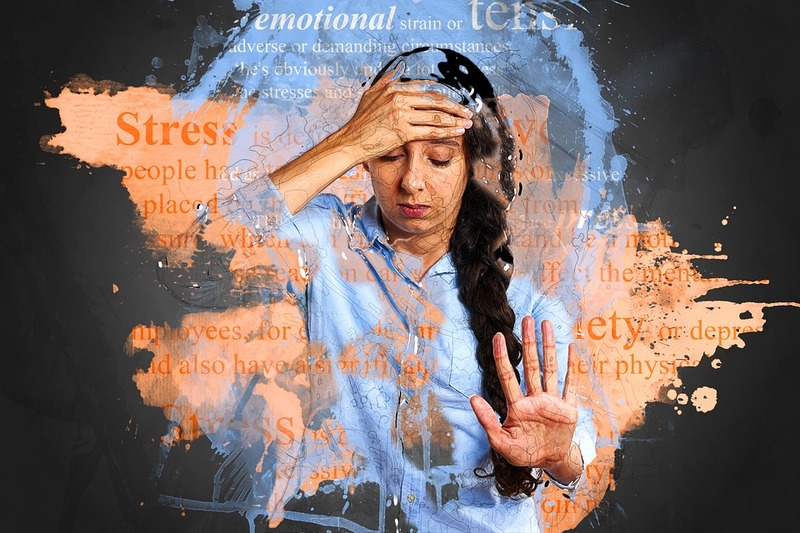 While the extent to which we all experience stress differs, at some point we’re all eventually forced to juggle different aspects of our lives. Every aspect of our lives, such as our relationships with those around us and ourselves, as well as our goals, can be a source of distress. Your heart beating fast, the sweat that drips down your spine and that fingernail you can’t stop biting, that’s stress. There are a lot of negative things associated with stress, such as the anxiety that one can’t shake off or the inability to stop over-thinking. When life seems to be sprinting at 100 miles an hour and despite our best efforts to catch up, we somehow fall back and we tend to get moody. Then we decide to resort to the one thing that never fails to make us feel better: we close our doors, turn the lights off and hide under our covers to give ourselves a little break, only to figure out that sleep is no longer an option when our minds are preoccupied with so many things all at once. The stress that we feel can be crippling and even dangerous. For instance, the possibility of stress leading to depression, anxiety disorders or insomnia can be quite high. Sometimes all of that weight can make us feel insufficient or useless. The stress tends to make us overthink, which then leads to a train of negative thoughts straight into our consciousness. But there’s more to it than that! Now that we’ve established all of the things we feel when we’re under pressure, let me explain to you how stress can be beneficial to us. Surprised? While excessive stress is not something to be taken lightly, to a moderate level, this experience is good for us. Stress is what makes our minds work harder, increases our drive to improve and causes us to strive to reach our goals to the best of our abilities. That sensation where you feel your heart might just beat out of your chest? It energizes you. Our need to take deep breaths? Only provides us with more oxygen. In fact, usually, the worst way that stress can have serious long-term physical side effects for us is if we believe that it can harm us. As an expert worrier, I’d like to offer some things that I find have helped me or those around me. There are the obvious solutions such as taking deep breaths or taking a walk in the park, but I’d like to also mention what seems to be the most transformative solution: meditation. This one takes awhile to master so you need to be patient. What works best for me is working out. Any sort of physical activity is a great way to divert attention from the large pile of work on my desk or that fight I had last week with my friend. I wish that it was as easy as snapping your fingers to make all the stress go away, and for a lucky few, it really is. As for the rest of us, it’s a journey full of ups and downs, so it’s important to find the things that can help release all of that built up tension, because we all know telling someone to stop stressing does very little to change anything.